An ultrasonic Fox & Squirrel repeller creates an uncomfortable environment that a Fox or Squirrel wants to get away from quickly. Most repellers have an PIR motion detector, that when an animal moves infront of it, activates the ultrasonic noise that a Fox or Squirrel hates. It's not painful or cruel, just annoying. The most common reason for purchasing such a device is to stop Foxes fouling on your lawn or flower bed. If you aim the ultrasonic repeller in the general direction of where the Fox is pooing, it should work fine. There are a few points to mention about positioning the ultrasonic repeller. They don't work through bushes, shrubs, hedges or anything else that is an obstacle. The unit needs a clear line-of-sight for both the PIR motion sensor to be able to detect movement and the ultrasonic tone to be heard by the Fox or Squirrel. 100ft range or 30ft range repeller? Q. 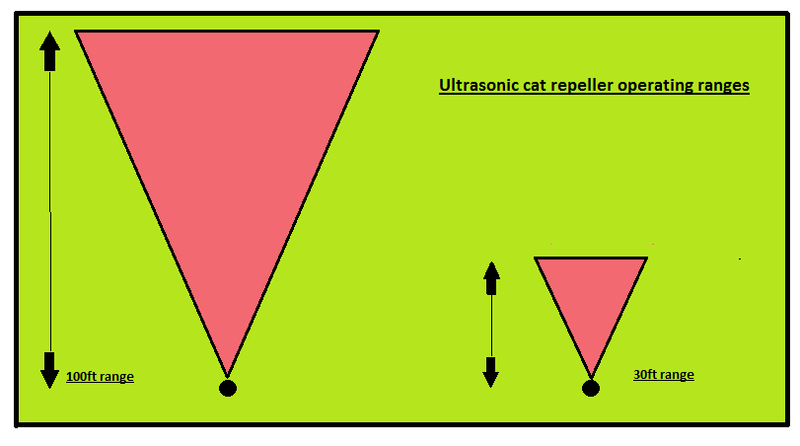 Does an ultrasonic Fox repeller affect birds? A. No.